This is not a latest news, but we just found it out. Last month, IIHS has also conducted the small overlap test on the 2014 E-Class. Please pay attention that the testing result only applies to the 2014 model build after Janurary 2014, not for all of the 2014 model. The reason is that, starting Janurary 2014 production, Mercedes-Benz made structural enhancements to the E-Class, mainly in the footwell area of the occupant compartment. 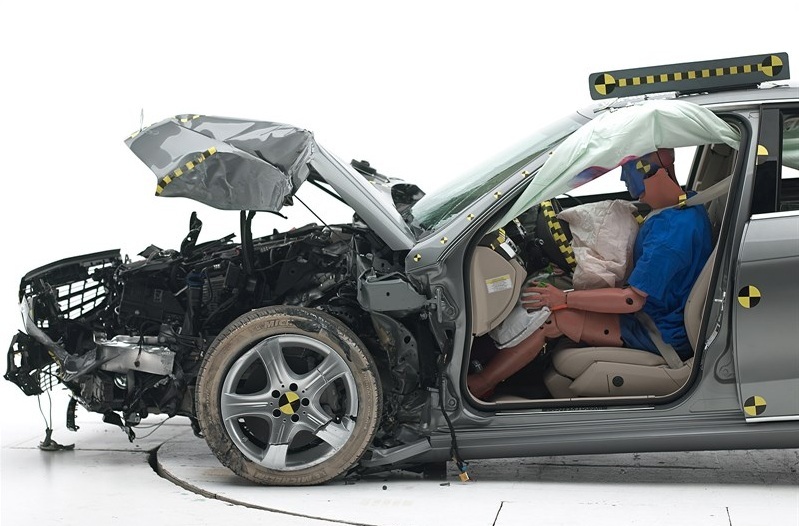 From the below image from IIHS, the improved E-Class did fairly well, there is no excessive deformation in the safety cage.